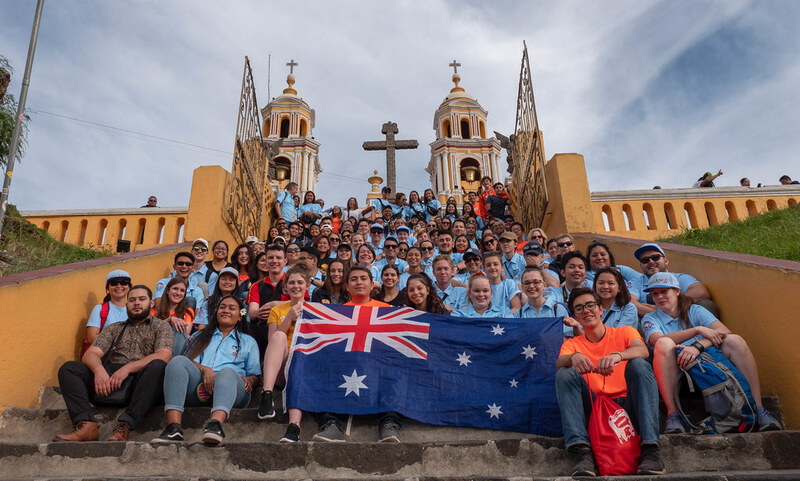 As Panama City was bursting with chanting, prayer and singing from pilgrims across the world, Bishop Vincent reminded pilgrims that they must “listen to the voice of God” and enrich themselves spiritually with what God has in store for them. Bishop Vincent Long addresses pilgrims ahead of venturing out into Panama City. Image: Diocese of Parramatta. Diocese of Parramatta pilgrims descended upon Panama City visiting iconic sites such as the Panama Canal and Panama’s Old Colonial town. Pilgrims visited the Panama Canal. Image: Diocese of Parramatta. Christina Rujicica, a pilgrim from the Diocese of Parramatta said, “speaking to the locals today we’ve been shown hospitality. People from Panama are generous and willing to help, many locals have commented on how excited they are to have people from over the world come to visit their country, people were waving and cheering from their apartments” she said. Diocese of Parramatta pilgrims in the Panama Old Town. Image: Diocese of Parramatta. Pilgrim Veronica Desa explained that the welcome from Panama has been truly unique, “We’ve had cars honking and even the police have been welcoming us to Panama, they’re very excited to see us,” she said. Panamanian locals embraced their visitors with smiles and the word “Benvenuto” (welcome) being often repeated to pilgrims across the city. Church doors have been opened for pilgrims having the chance to pray and reflect on their experiences throughout World Youth Day. World Youth Day officially kicks off Tuesday 22 February with an Australian gathering, followed by the Opening Mass.